Tracking and data might sound like dry topics to some, but introducing and improving tracking and measurement across digital activities have been important drivers for experimentation in Greenpeace Nordic’s digital team. 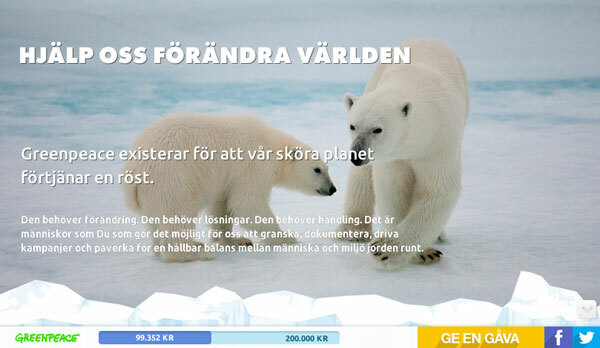 Greenpeace Nordic has an ambitious goal: reach two million subscribers (across email and social media) by 2015. Investing in methods to see where new campaigners and donors were coming from combined with e-commerce tracking to follow those users through to see what they did next has not only allowed the team to focus their resources and improve performance, but has also encouraged more creative approaches. The 2 million goal remains ambitious, but experimenting and developing an understanding of what works is delivering benefits. The email list, for example, doubled in size in 2013. Measurement can release creativity and innovation. People are more likely to experiment and invest when they know they will get information about what has worked and what hasn’t. Make sure people are fully involved. It’s not the task of one person to deliver tracking. Involve people in defining the information they want and make sure they see the benefits of tracking to support their commitment to implementing it. Take a step-by-step approach.Win buy-in and credibility by establishing the usefulness of simple measures, such as conversion and source tracking, before tackling more complex e-commerce tracking. 1. What do people do? The first step was to identify conversion goals linked to overall objectives – campaign sign ups, clicks through to a donation page – and work out a simple system within Google Analytics (GA) to trigger a trackable ‘event’ for those goals. Introducing source tracking also meant new ways of working: staff needed to ensure that all links were tagged to allow source reporting. 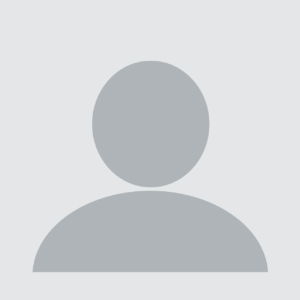 A simple system for generating unique tracking codes (using bit.ly in combination with a Google spreadsheet) made the process easy and helped avoid errors. Source tracking is essential to uncover which sources are delivering on strategic donor and campaigner recruitment goals. Customised, simple dashboards for different teams allowed people to access the information they needed to run the ads day to day, “At this point people really embraced it,” says Michael. He does the ‘dig deep analysis’ and works out the CPA (Cost per acquisition) and benchmarks. It’s incredibly useful to establish where users have come from before they sign a petition or click through to a donation page. It’s even more useful to know what happens after that. The source that is driving the most traffic may not be driving the most donations or opt ins. To find out which marketing efforts are really paying off you need to track users right through their journey, including after they leave your site in order to make a transaction – you need e-commerce tracking. Taking measurement to the next level is technically more challenging. “We needed a step-by-step process to tackle the accessible things and gain credibility. Working closely with the development team and payment provider we were able to take it a step further and bring data back in on what people did next,” says Michael. E-commerce tracking brought the team new insights into where new donors were coming from. It showed that organic search was the highest online revenue source. This emphasised the importance of putting resources into SEO to give cost-effective and long-term results. It also showed that email was effective in fundraising, which was primarily used to push petitions and hadn’t been a known driver for donations. “We also learned that social media was the most effective channel for obtaining new email subscribers,” says Michael. 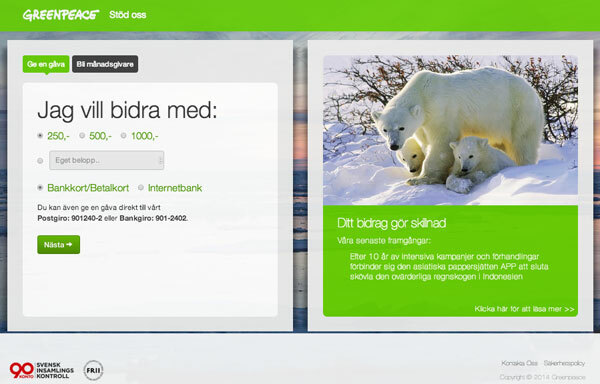 When new donation pages were launched in Sweden and Denmark, e-commerce tracking meant the team saw the results, including a 50% increase in one-off online donations and a 90% increase in conversion rate. With e-commerce tracking, the team tested different donation landing pages and found out not only which drove most click-throughs to donate but also which versions generated most revenue. The team used email to direct traffic to two contrasting donation pages – a simple, direct donation page vs. a page with campaign info, messaging and donation ask. 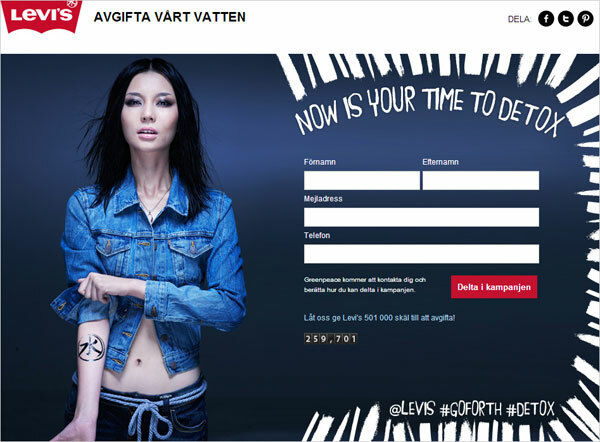 E-commerce tracking allowed the team to see that the simple page was more successful, raising 31% more money, with a conversion rate of 16% (against 14% for the campaign-specific page). Data and feedback encouraged the team to try new things. 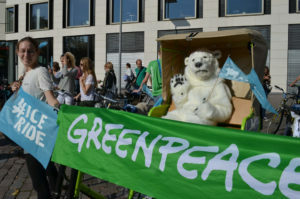 For example, the team made a Facebook post asking people why they supported Greenpeace and sent an email asking regular donors to visit and comment on it. A week later, highly-targeted promotion of the post to known non-donors allowed existing supporters’ explanations of their support to speak eloquently as part of a call to action to become a donor. The post raised 4,000 SEK – more than the team had ever raised via a social media call to action.